The Parents' Show: Our Fabulous launch party! Hello listeners! This is a picture of the Parents' Show team at our launch party on Dec 7th. 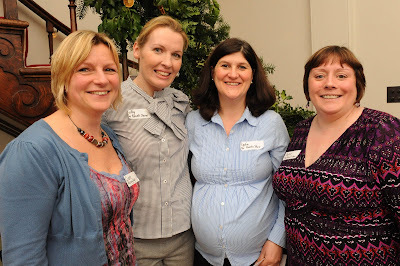 Claire Healey from Raring2Go, the what's on guide for families in Herts, Kathy Weston (presenter), Lydia El Khouri (presenter) and Jackie Johnson (production and studio assistant). Watch out for more piccies to come!